Download from Preziland.com. 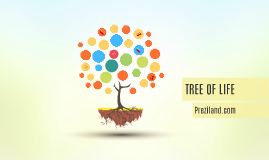 Tree of life is made from colorful semi-transparent circles and vector based elements with 3D background of colorful circles. Good for symbolizing of growing, social care, ecological, environment, protection, association. Download: Preziland.com. 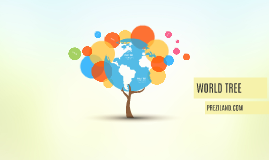 Tree of world template with colorful circles as text placeholders, blue transparent globe in the center of presentation located on top of the tree and Prezi 3D background effect when zooming in to slide.